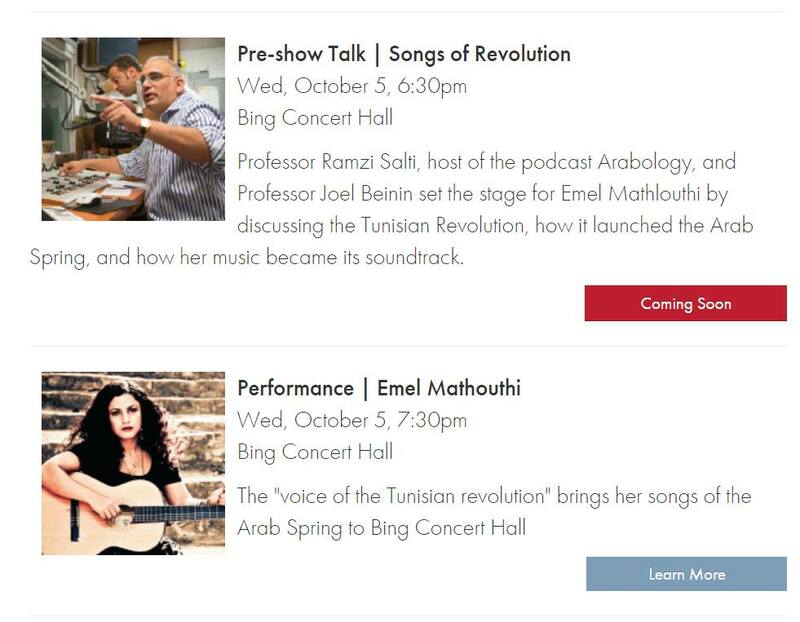 Emel Mathlouthi aka the "voice of the Tunisian revolution" brings her songs to Bing Concert Hall at Stanford University on Wednesday Oct 5, 2015 at 7:30 pm. The concert is preceded by a talk by Dr. Ramzi Salti and Prof Joel Beinin at 6:30pm. Buy your tickets here and arrive at 6:30 pm to attend both the talk + concert. 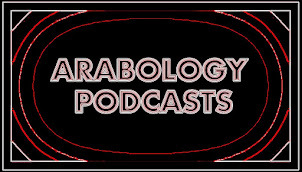 PRE-CONCERT TALK: At 6:30 pm, ]قز Ramzi Salti, host of the podcast Arabology, and Professor Joel Beinin set the stage for Emel Mathlouthi by discussing the Tunisian Revolution, how it launched the Arab Spring, and how her music became its soundtrack. Tunisian singer and activist Emel Mathlouthi earned the title "the voice of the Arab Spring" with her 2007 recording My Word Is Free كلمتي حرة—and in the process became her country's Joan Baez (her role model). "I see art as a very revolutionary way to change mentalities,” says the Tunisian-born Mathlouthi. This potent artist is a singer of compelling, confessional impact, whose music embraces suffering, love, and an ache for home. Though her roots are in folk music, her sound mingles rock, trip-hop, and electronica with Arabic undertones. Her songs of freedom and compassion also earned her a spotlight at the 22nd Annual Nobel Peace Prize Concert in 2015.